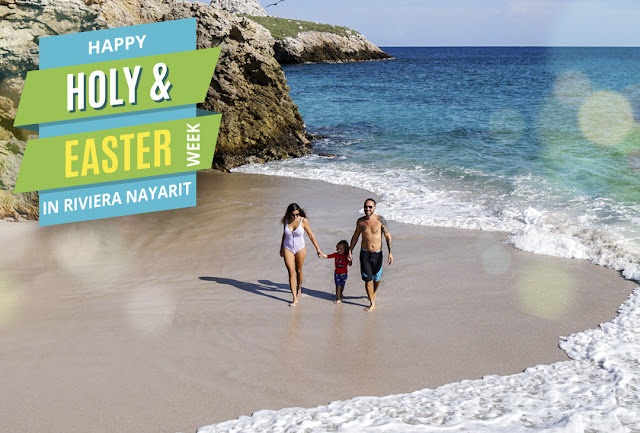 As Earth Day approaches, Riviera Nayarit is highlighting several resorts that are committed to protecting the region’s natural environment year-round. 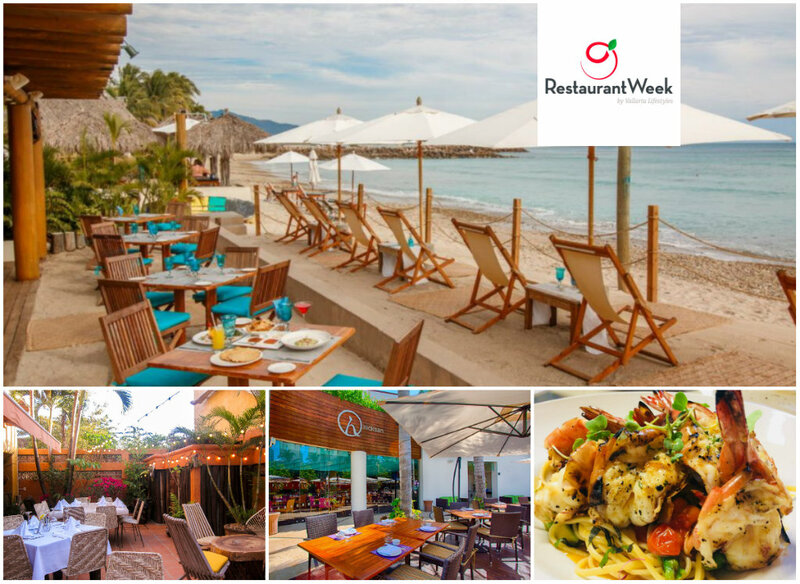 Located on the pacific west coast of Mexico, Riviera Nayarit is home to world-class luxury resorts, boutique hotels, eco-tourism inns and everything in between. While every property is different, each is aligned with the destination’s commitment to sustainability. • Imanta Resorts - Located by the Sierra de Vallejo Biosphere Reserve, Imanta Resorts Punta de Mita was built after 15 years of detailed monitoring of the local ecosystem. For example, the property is situated at a purposeful distance from the ocean to allow baby sea turtles to hatch and travel freely and many of the materials used for its interiors, exteriors, and even the stone bath at the spa, were sourced on property. It features energy-saving and resource-wise systems, such as “green” roofs on the buildings and systems that improve water quality and reduce noise and air pollution. Moreover, 70 percent of the property’s staff hails from a nearby village, thereby ensuring professional opportunities for the community and the preservation of the property’s authentic appeal. • Grand Velas Riviera Nayarit - Overlooking a pristine sandy beach and breathtaking Banderas Bay, Grand Velas Riviera Nayarit peacefully coexists with its natural surroundings thanks to a number of environmentally responsible initiatives. From biodegradable cleaning products to solar water heating, recycling, meticulous beach cleanup, composting and donations to local organizations, the resort is an example of green hospitality at its finest. Specifically, the property has solar panels that take advantage of the area's warm climate to help pre-heat water; thanks to year-round sunny days, the water arrives hot to the tanks, saving about 45% of the gas normally used. Additionally, the resort has a detailed waste separation strategy for organic and inorganic waste. Inorganic trash is separated according to type, including plastic, glass (separated by color), cardboard and paper. The resort has an area set aside for composting certain organic waste; it is mixed with soil to create compost, a natural fertilizer used to nourish the gardens and lawns. • Four Seasons Punta Mita – Uniquely located within a 400-acre nature reserve on a private peninsula overlooking Banderas Bay, Four Seasons Punta Mita operates under a strict set of initiatives that promote green hospitality. For example, it features a residual water treatment plant that generates clean water ideal for watering the property’s iconic gardens. Most recently, Four Seasons Punta Mita invested in new A/C and pumping equipment throughout the property, including Magnetic Levitation Chillers, thus reducing energy usage as all equipment starts are gradual and according to all needs. The high-end hotel only owns LED lamps and all public areas, such as parking lots and service areas, have energy saving solar lamps. Lastly, the Four Seasons is also accommodating for guests traveling in electric cars, with three chargers including one universal charger and two for Tesla users. 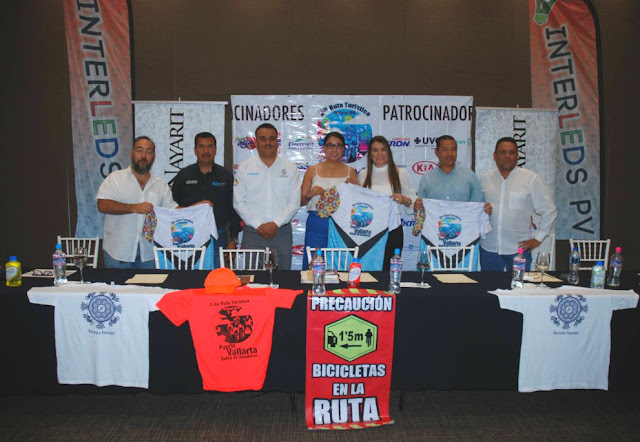 • W Punta de Mita - W Punta de Mita is taking on the viral #TrashTag challenge for Earth Day, and is inviting the local community to join in helping make the world and its beaches a little cleaner. 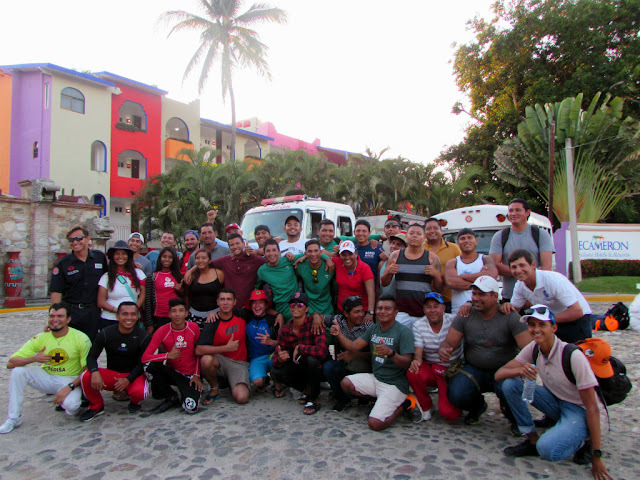 Located on Mexico’s coveted Riviera Nayarit, this edgy, oceanfront resort is helping to preserve Mexico’s pristine beaches with a beach cleanup event on April 22. The event will also include a guided meditation steps away from the rolling Pacific waves, thanking Mother Nature for all she’s given to the region. And since participants may work up a sweat saving the planet, they’ll be invited to recharge with light refreshments afterwards. 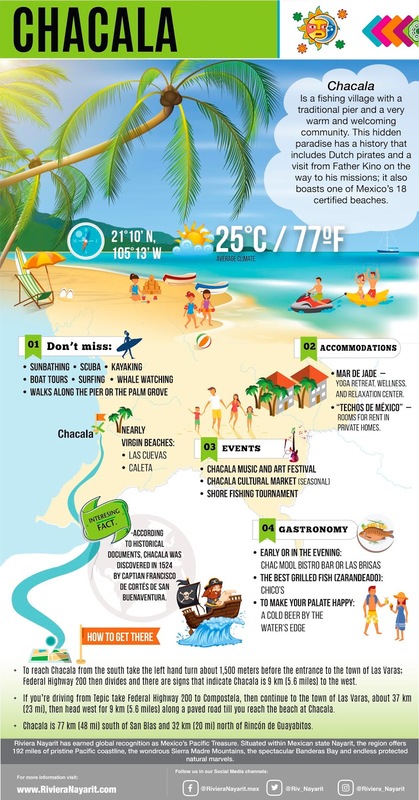 • In recent years several hotels have received TripAdvisor’s Greenleaders™ certification across different levels, including Marival Resort and Hard Rock Hotel Vallarta, which reached Platinum Level, the program’s highest recognition awarded to hotels and resorts that meet the minimum requirements + 60% score or higher. These requirements include offering linen / towel reuse plans; regularly track energy consumption; recycle; utilize energy efficient systems such as lighting; educate staff and guests about green practices; property treat wastewater. • Playa Nuevo Vallarta Norte, Laguna de Santa Maria del Oro and Marina Riviera Nayarit have recently been recognized with the prestigious blue-flag certification, awarded by the Foundation for Environmental Education (FEE) to the beaches and marinas that meet the established criteria for quality, safety, education, and environmental information. 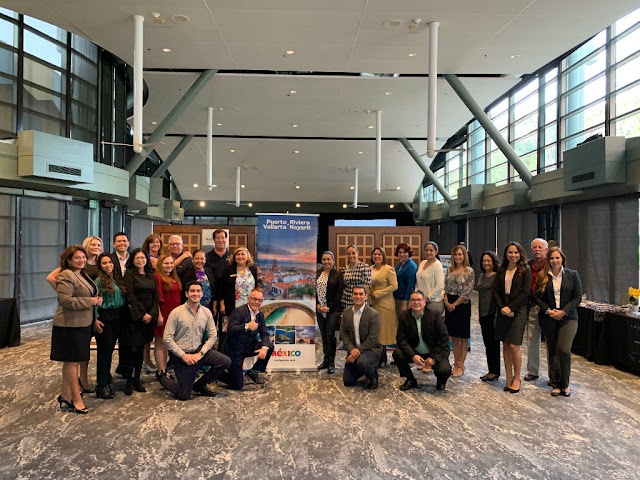 The AHMBB and the Riviera Nayarit CVB visited Los Angeles, San Diego, Orange County, and San Francisco with the goal of attracting more tourists to the region for the summer season. The Bahía de Banderas Hotel and Motel Association (AHMBB) and the Riviera Nayarit Convention and Visitors Bureau (CVB) worked together with the Puerto Vallarta Tourism Trust for their annual promotional tour to some of the top cities in California. 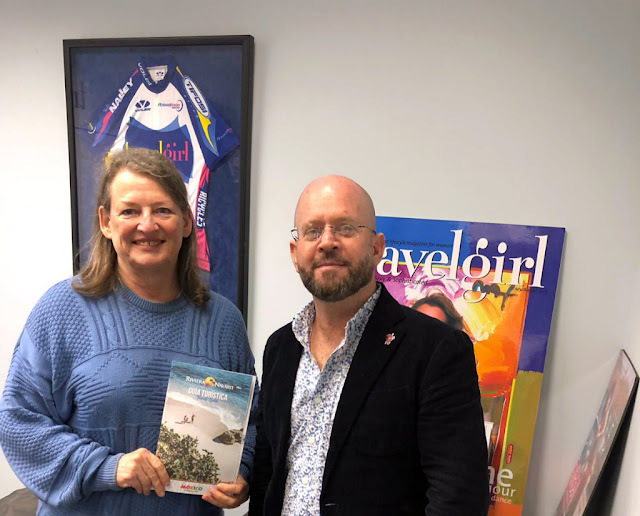 The California Tour was part of the Promotional Plan set in place by Mexico’s Pacific Treasure and its sister destination, Puerto Vallarta, to incentivize tourist arrivals to the region prior to the summer season. The nomination of these properties located in Mexico’s Pacific Treasure is very important considering the list was compiled from the opinions of over 429,000 people from around the world. It’s time to vote! Fifteen Riviera Nayarit hotels have been included in the list of nominees for the 32nd edition of Condé Nast Traveler Readers’ Choice Awards 2019, which adheres to very high standards of service, food, and ambiance; the best of the best will become part of the world’s Top 100. 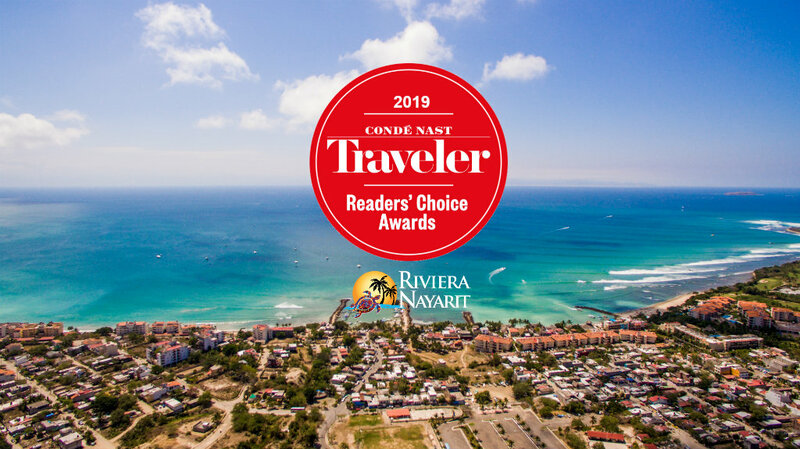 The nominations were announced by Condé Nast Traveler, a magazine for today’s luxury traveler; it also revealed that voting opened up on April 1st and will close on June 30, 2019 at 11:59 p.m. Your opinion is important! DJs from around the world are bringing their best spin to the Marina Riviera Nayarit in La Cruz de Huanacaxtle on April 26-27. 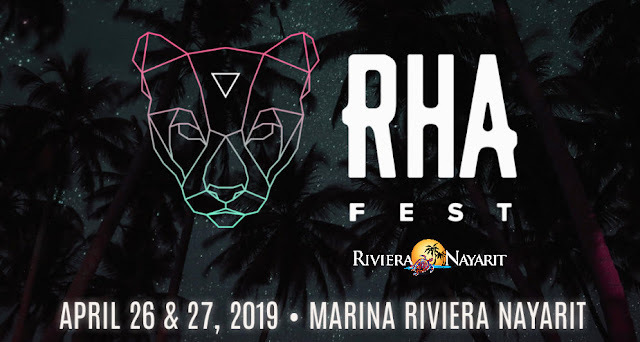 The Riviera Nayarit is ready to welcome the third edition of the RHA Festival 2019 on April 26-27, the much-anticipated electronic music fest that brings the best of the best in house music from around the world. 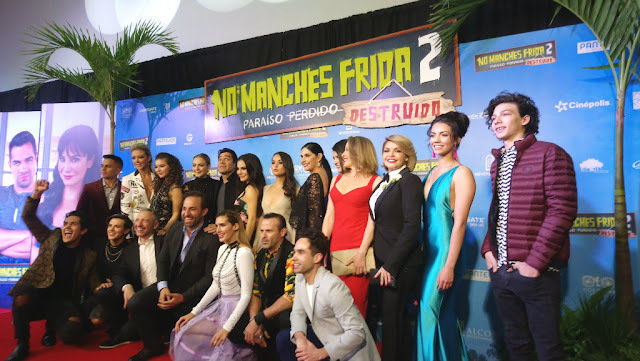 The stage will once again be set up very close to the beach at the Marina Riviera Nayarit in La Cruz de Huanacaxtle, where attendees can dance under the warm night sky while they enjoy the ocean breeze. Over 500 travel agents from the United States and Canada gathered in “The Gambling Capital of the World” for this forum from March 22nd through the 23rd, a must for the Riviera Nayarit and its hotels. 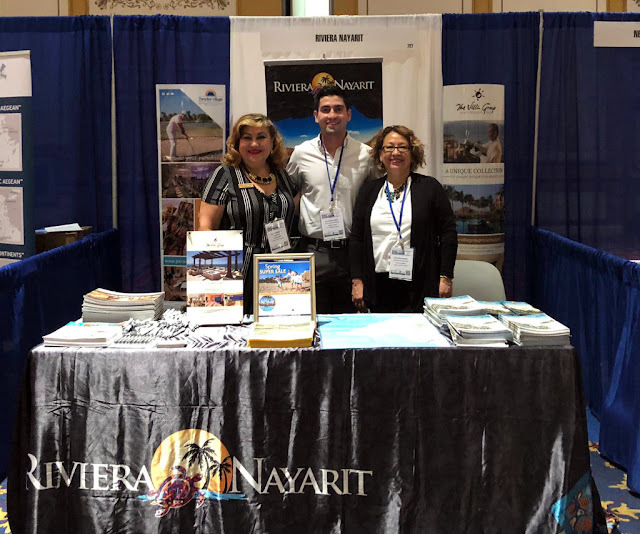 The Riviera Nayarit was present and accounted for at the Travel Agent Forum held from March 22nd through 23rd. 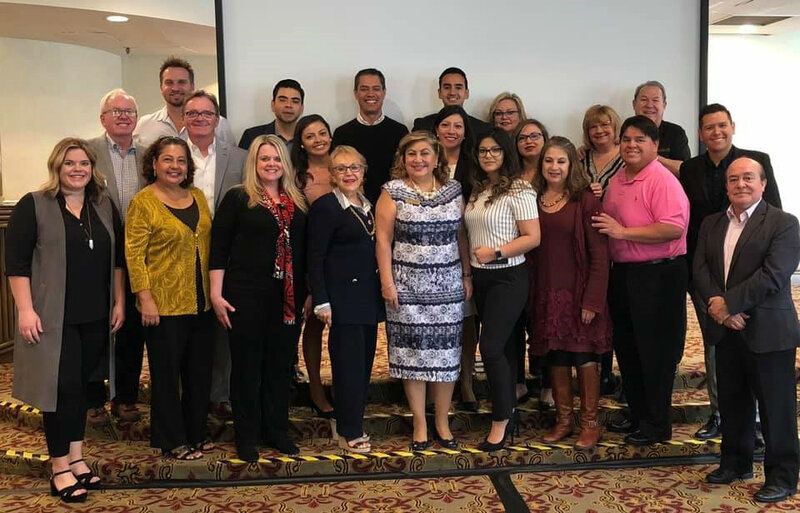 This event brings together over 500 travel agents from the United States and Canada with top hotel chains, wholesalers, and destinations from around the world. The forum is produced by the Travel Show Marketing group and is one of the most important events for the segment in North America; it was originally focused only on home-based agents, however, in the past few years it opened up to travel agencies as well, which widened the pool of attendees. 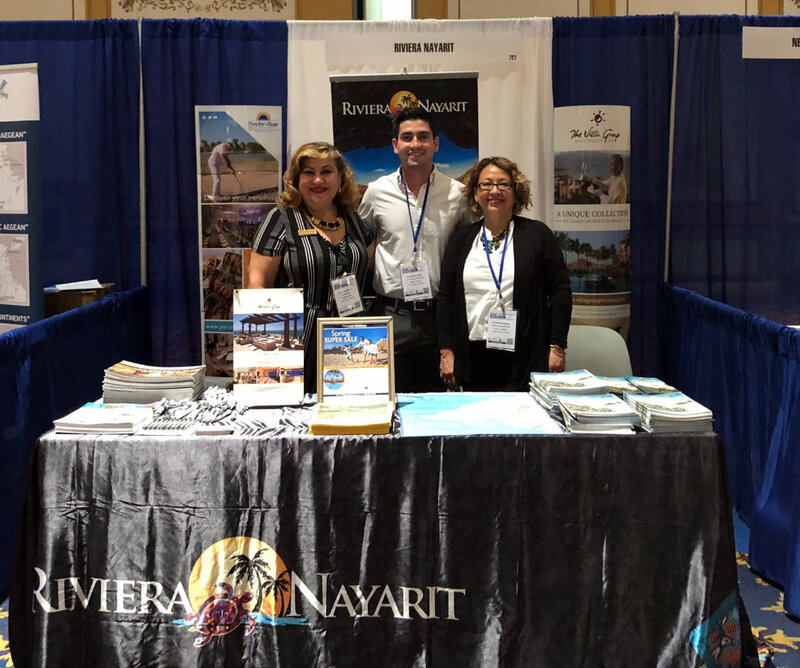 The Riviera Nayarit CVB and the AHMBB will be present at Mexico’s most important annual event: a gathering of potential buyers and tourism marketers from 60 countries. The Riviera Nayarit is taking its charm, luxury, and nature to the 44th Tianguis Turístico México 2019 taking place from April 7-10 at the Mundo Imperial convention center in the port of Acapulco with the participation of potential buyers and tourism marketers from 60 countries. 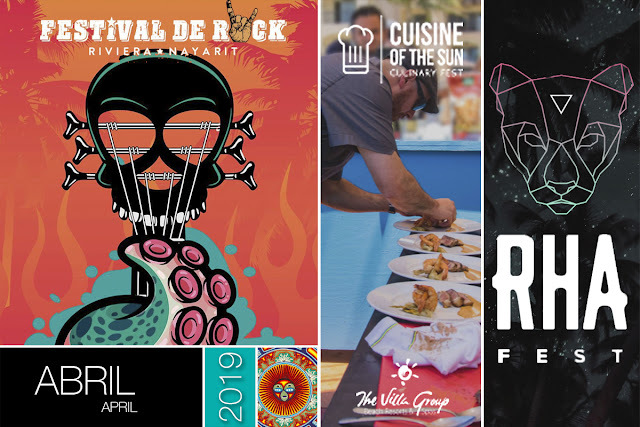 The event—organized and coordinated by the Federal Ministry of Tourism—, has been held every year since 1976 and is considered the most important of its kind in the country’s tourism industry. This is a business platform for the sector with the participation of over 600 exhibitors representing the 32 Mexican states. The event was originally held yearly in Acapulco but became itinerant in 2012, changing destination every year and returning to its original home every two years. Don’t miss out! 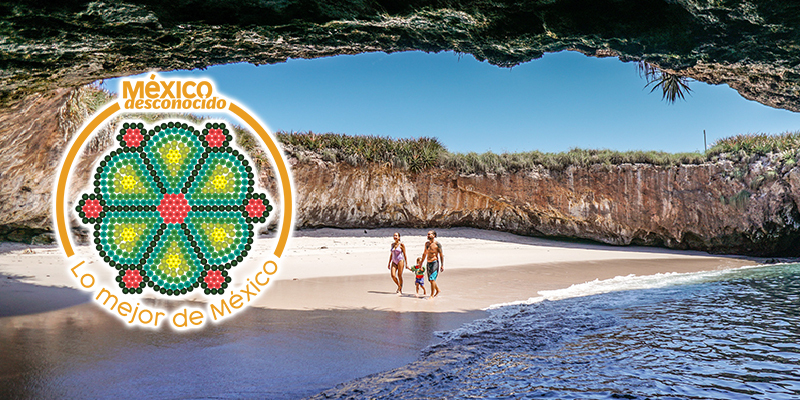 Mexico’s Pacific Treasure is launching its Seasonal Offers with the participation of 23 destination hotels and rates starting at $2,700 MXN. Chacala, a fishing village with a traditional pier and a very warm and welcoming community. There are more than enough reasons to visit this tourism destination during the fourth month of the year; you’ll have options for relaxation, fun, or to practice your favorite sport. Besides the many local events, April also coincides with the most anticipated holiday season by domestic tourists—Holy Week and Easter—perfect for plenty of fun in the sun, sea, and sand. 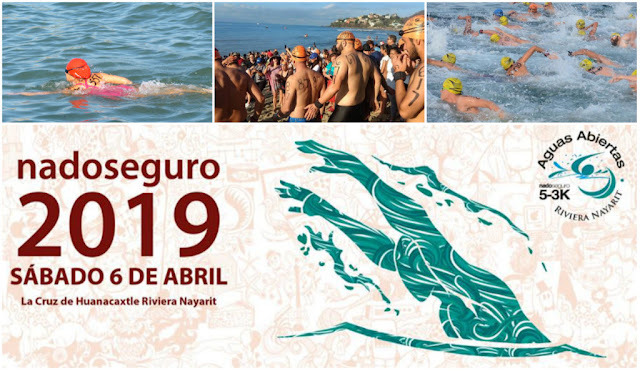 The open water competition will take place next Saturday, April 6, 2019 at Marina Riviera Nayarit beach in La Cruz de Huanacaxtle. The adventure begins on April 6th when 800 domestic and foreign swimmers plunge into the 2019 Riviera Nayarit Open Water Safe Swim Tournament at 8 a.m. from the Marina Riviera Nayarit in La Cruz de Huanacaxtle. The event was presented to local media via a press conference held on Thursday, March 28th, by event director and organizer Belín Villasante, who announced this is part of the largest Open Water series competitions in the world (Global Swim Series, or GSS) and is backed by the Swimming Association of the State of Nayarit. The Mexican airline confirmed the summer start dates for two flights—one from Querétaro in Mexico and one from Phoenix, Arizona. This summer, ultra-low-cost airline Volaris will begin two new flights to and from Puerto Vallarta-Riviera Nayarit. The flights will add another 10 thousand seats to the region, as they will be operating from June through December 2019. The airline shared a press release that confirmed the Querétaro-Puerto Vallarta/Riviera Nayart (QRO-PVR) and Phoenix-Puerto Vallarta/Riviera Nayarit (PHX-PVR) routes, both operated on Airbus 320 planes with a capacity for 179 seats. The flights start on June 16, 2019, with frequencies on Fridays and Sundays. The Nayarit destination promoted the beauty of its natural attractions and its luxurious resorts; it also shone brightly during the “31 Women We Love 2019” event sponsored by Quién magazine, highlighting the Wixárika culture. 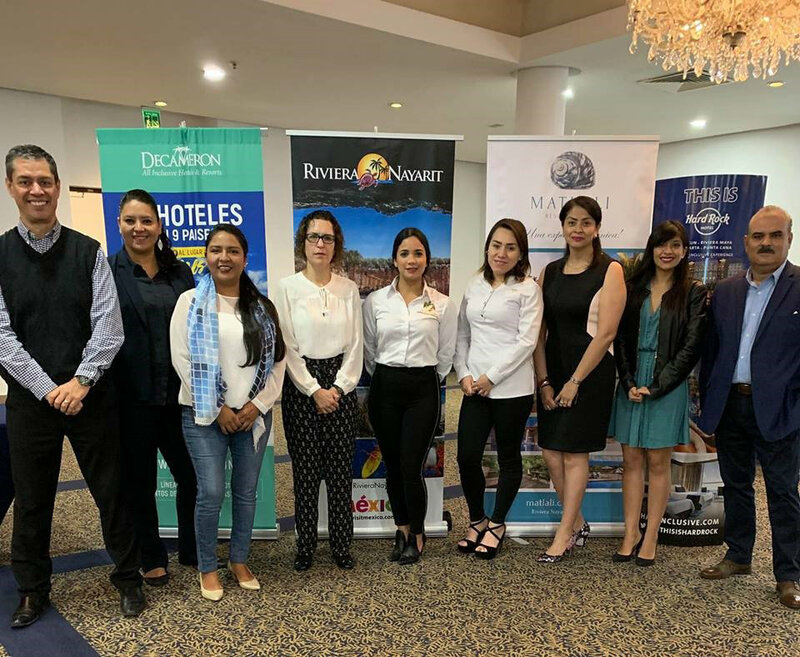 The Riviera Nayarit took its luxury and natural attractions to Mexico City from March 12-13, where it not only announced updates for 2019, but also was part of an annual event sponsored by Grupo Expansión’s Quién magazine celebrating women’s role in society. 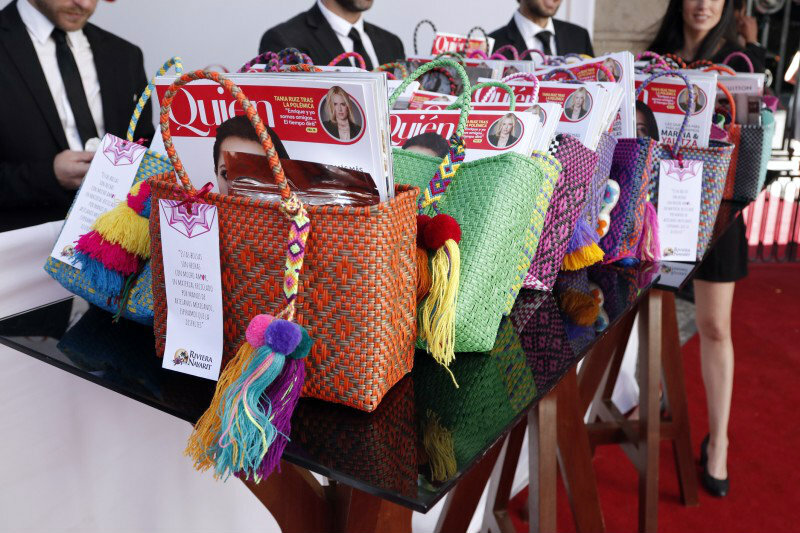 On the first day, Mexico’s Pacific Treasure shone brightly at the “31 Women We Love” event held every year by Quién magazine, which recognizes the drive, talent and dedication of women from different levels of society who work towards creating equality. Included in the list were actresses, singers, communicators, journalists, politicians, designers, businesswomen, architects, interior designers, entrepreneurs, athletes, singers, and lawyers.